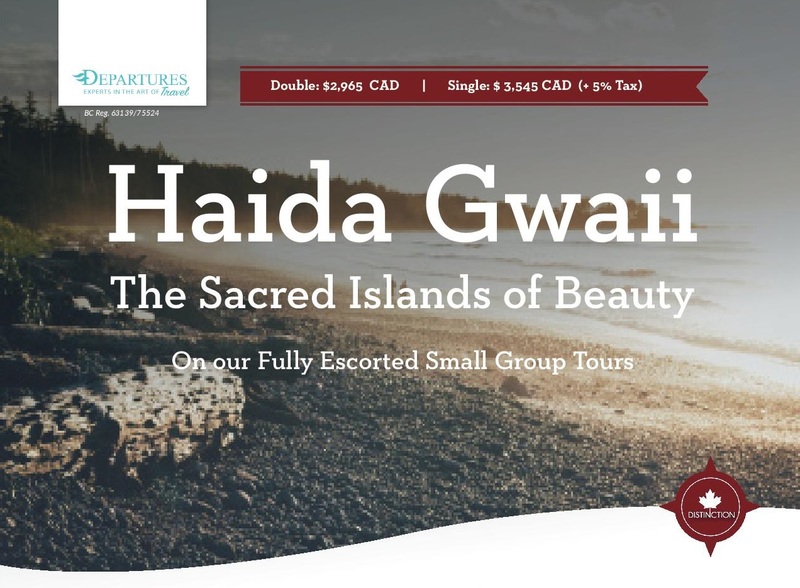 Haida Gwaii, known as the Galapagos of the North, is a pristine archipelago on the west coast of British Columbia steeped in the culture of the Haida People dating back over 10,000 years. Discover the culture both past and present as we explore these incredible islands. 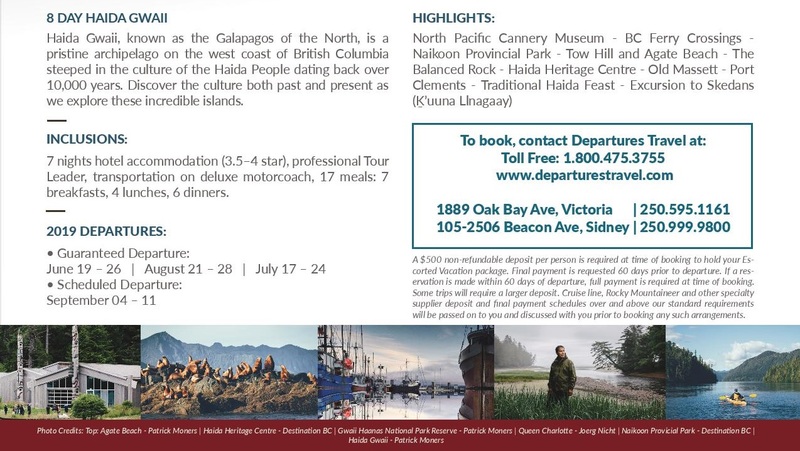 7 nights hotel accommodation (3.5–4 star), professional Tour Leader, transportation on deluxe motorcoach, 17 meals: 7 breakfasts, 4 lunches, 6 dinners. A $500 non-refundable deposit per person is required at time of booking to hold your Escorted Vacation package. Final payment is requested 60 days prior to departure. If a reservation is made within 60 days of departure, full payment is required at time of booking. Some trips will require a larger deposit. Cruise line, Rocky Mountaineer and other specialty supplier deposit and final payment schedules over and above our standard requirements will be passed on to you and discussed with you prior to booking any such arrangements.